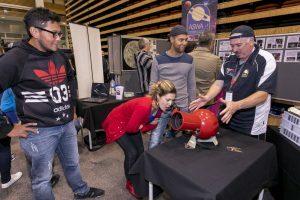 Astrofest 2019 on March 16 | Astronomical Society of Western Australia, Inc.
ASTROFEST—this massive viewing night / astronomy festival is on again at Curtin University on Saturday the 16th of March. ASWA will again have a stall in the hall and telescopes outside. Members please note: if you want to be an ASWA presenter there may be a small gift this year, so please tell Phil Sinel or contact the Yahoo Group.